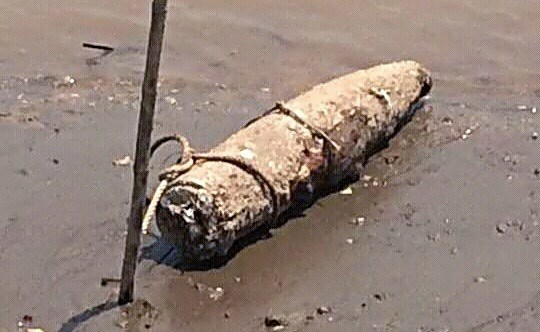 Thai Binh (VNA) - An unexploded bomb weighing around 250kg was removed from Con Nhat Ferry in the Hong (Red) River Delta province of Thai Binh, the provincial Military Command has said. Tran Van Van, a local farmer, spotted the bomb at the ferry in Hong Tien commune’s Cao Binh village when he went fishing on the Hong (Red) River, provincial commander Colonel Nguyen Duc Dung said. Kien Xuong district’s People’s Committee halted ferry operations, and authorities summoned the police.